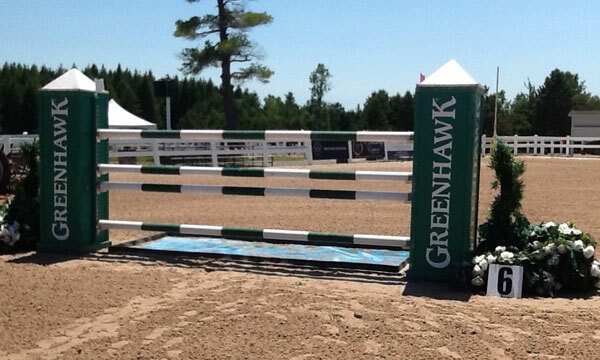 We are at Palgrave for the Greenhawk 1.35m Grand Prix. 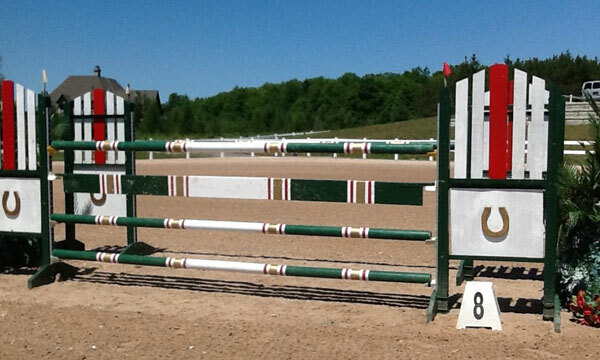 This is the fourth week of the Palgrave summer series and we are looking forward to a good starting line up for the Grand Prix and the $20,000 in our class this afternoon. The GP today will be held under national rules. There are 26 entries and they will all compete. 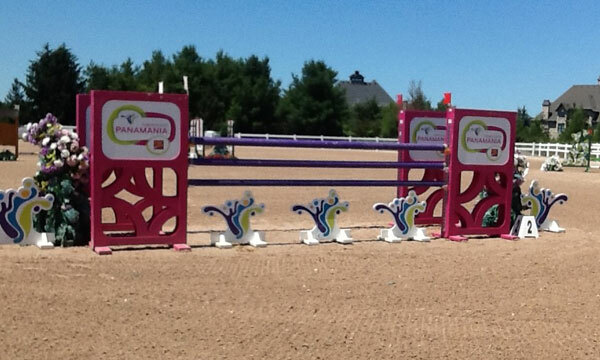 The course will have 13 numbered jumps and 16 efforts. On the course we will see three double combinations and no triple combination. 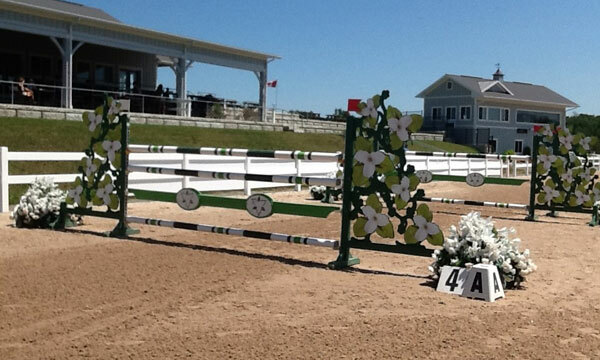 The course will feature a closed Liverpool vertical, a triple bar and a short pole vertical. There will be no water, no plank jump and no triple combination. The TA is set at 86 seconds and will not be changed. The speed for this class is 350m/m and I will once again comment on this speed at the end of the walk. The weather is hot but there is a nice breeze and the heat will not be a major in this class today. 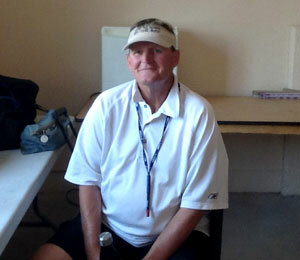 The course designer for the week has been Chris Brandt (CAN) and is no stranger to this venue and to a very mixed starting order. The height and width is not a major factor in this course with the maximum height being 1.35m or 4.6ft (4.5ft is the measure but I do round this height to 4.6ft). The tests on this course will come from the TA and the technical aspects introduced into the course. 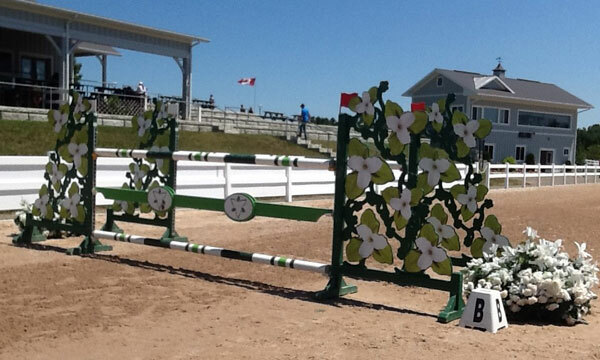 Some difficulty will also come from the younger riders stepping up for maybe the first time. I also believe that the lack of fill material will reduce the difficulty in this course. 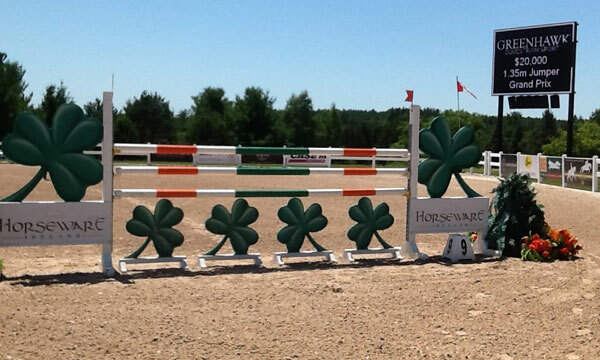 I think we are now ready for the walk of the $20,000 Greenhawk 1.35m national grand prix. #1 oxer 1.30/1.35/1.25 or 4.3/4.6/4ft and presents a very easy way to start the course and was not a factor as it did not meet with ground control on the day. 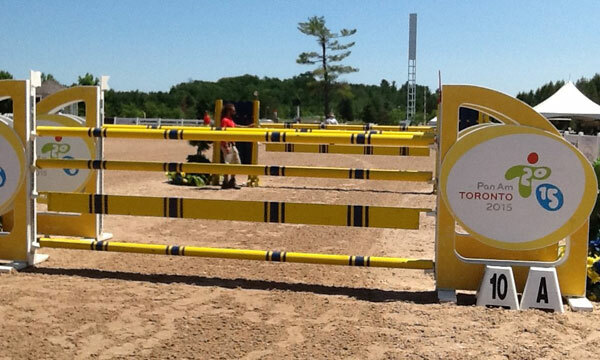 #2 oxer 1.35/1.45m or 4.6/4.9ft comes on the full turn on the left rein and created I refusal for one of the competitors. #3 vertical 1.35m or 4.6ft comes in a straight line from #2 with distance of 22.90m or 75ft and caused no damage today. 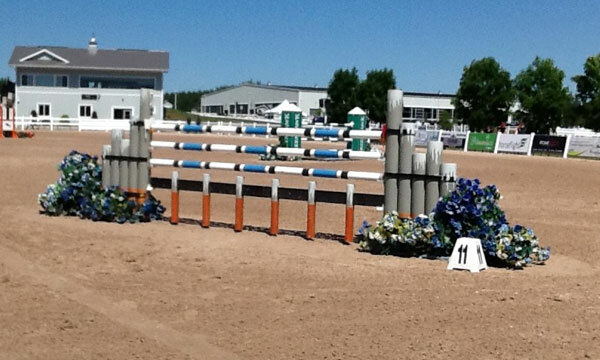 #4a vertical 1.35m or 4.6ft comes on the full turn on the right rein and met mother earth four times. 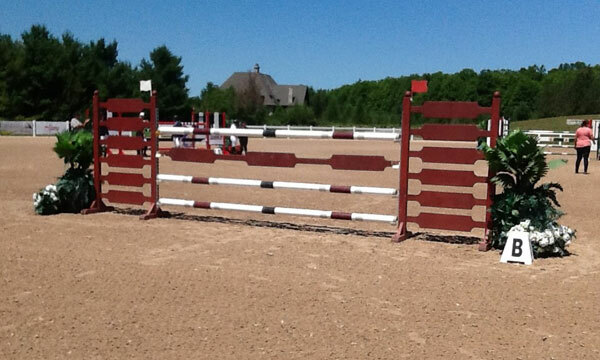 #4b oxer 1.35/1.50m or 4.6/5ft comes with a distance of 8.10m or 26.6ft from #4a and found the sand two times. 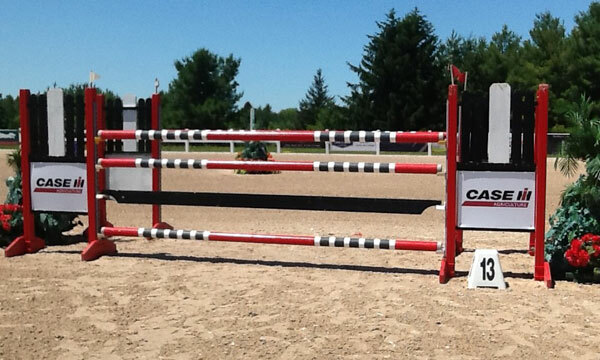 #5 triple bar 1.0/1.20/ 1.35/1.80m or 3.3/4/4.6/5.9ft comes from #4b on the bending right rein with no given distance and was not faulted on the day. #6 closed Liverpool vertical 1.35m or 4.6ft comes in a straight line from #5 with a distance of 25m or 82ft and splashed down two times. This was a quiet 6 strides but we saw 3 rides of the very forward 5 strides without fault. 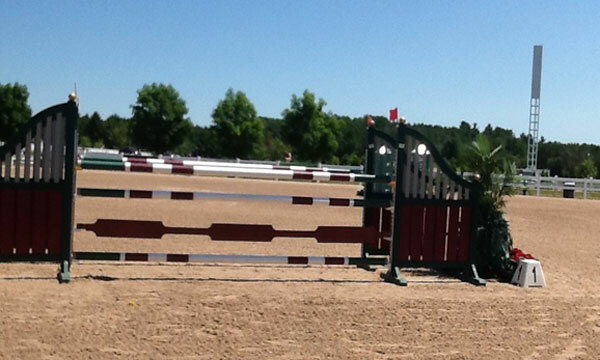 #7a vertical 1.35 or 4.6ft comes on the right rein away from the in-gate and did not see any difficulty today. #7b vertical 1.35m or 4.6ft comes from #7a with a distance of 11.30m or 37ft and was also injury free. #8 oxer 1.35/5m or 4.6/5ft comes from #7b in a straight line with a distance of 21.60m or 97ft and was a disappointment for three competitors. #9 vertical 1.35m or 4.6ft comes from #8 on a long gallop on the left rein and tumbled to the floor two times. 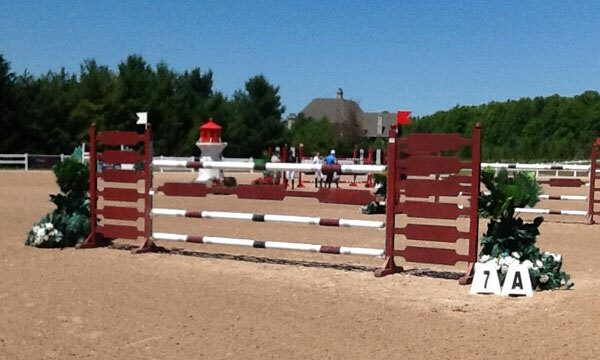 #10a oxer 1.35/1.50m or 4.6/5ft comes from #9 with no given distance on the left rein and never got sandy. #10b vertical 1.35m or 4.6ft with a distance of 7.50m or 25.7ft and played in the sand box one time. #11 vertical 1.35m or 4.6ft comes from #10b with no given distance on the left rein towards the in-gate and was not faulted on the day. #12 vertical 1.35m or 4.6ft comes on the continuing left rein with a long gallop and was removed from the top cups two times. 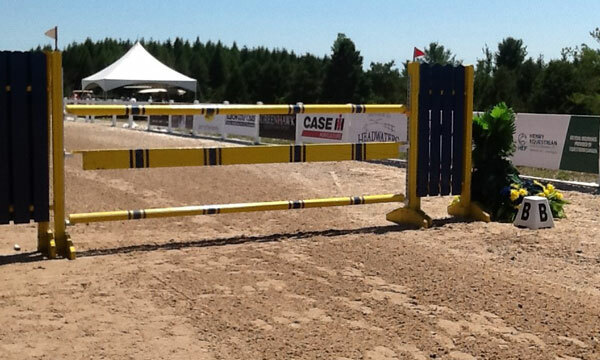 #13 oxer 1.35m/1.50m or 4.6/5ft comes from #12 with a bending right rein and as the last fence proved to be the most difficult obstacle today as it bit the dust five times. That completes the first round. 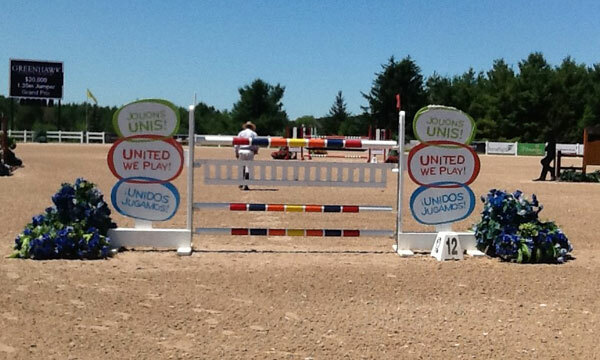 The final results will show that eight clean rounds will advance to the jump off. We had four rounds with one time fault, six rounds of four faults, one with five faults, one with seven, two with eight faults and one with nine and one with 10 faults. There were a couple of rides with a few more faults and they will be back on another day. There were no eliminations and no VW’s. I have stated many times in the past that the local grand prix which shows an easy height limitation that they are maybe more difficult that some of the major classes for the CD to achieve good results and still provide an exciting number for the jump off. Chris Brandt did just that today. This was a job well done. I know that we will see more great work from Chris in the future. I would like to spend a few moments discussing the speed that is posted on the course plan. The speed listed for the class was 350m/m. A course designer arrives at the TA by wheeling the track from the start line to the finish line. 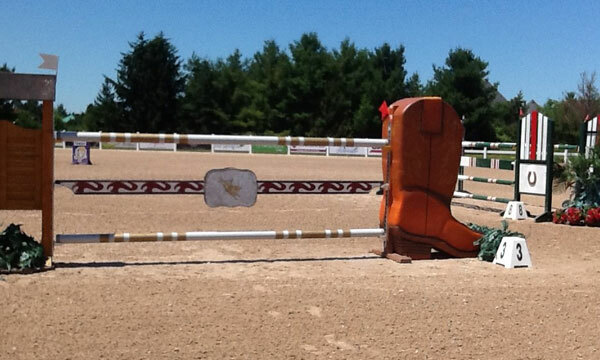 The line that the course designer wheel’s is the track that he believes the average horse/rider will take. He or she can use a real wheel or can do the work on the computer. Major classes are done both ways and usually by at least one other CD. The TA today was 86 seconds and there is no way the speed of the average ride could be 350m/m. 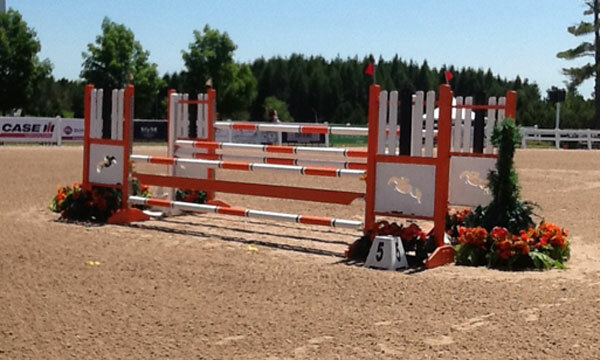 The limit of 1.35m for this class is difficult enough without giving a speed that is so slow that the rider has the time to successfully complete all the tests on the course and have the course become a very weak test at best. 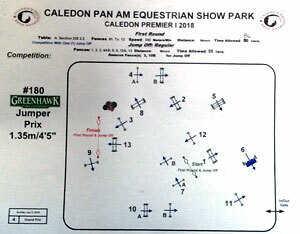 Modern day show jumping has seen the TA come from being just something that is shown on the course plan to an actual weapon that the course designer can use if he or she needs something extra to have good and fair results. The TA can easily become the main test and we have seen this over the last 10 or so years. This is not fair. The course today needed the time to be aggressive and it was and we had great results. The final results saw 8 clean and 4 with a time fault. We can see that the TA was a factor but not unfair. My point is that 350m/m was not the speed used and in most classes at a recognized show at 1.20m and up is the proper speed to use. The speed of 350m/m has no place in our sport (1.20m/m and above) as the standard speed modern day. Even using 375m/m the course designer can be softer or more aggressive as the field of competitors dictates. Below a certain level experience most riders cannot tell you the speed being used on any course. They never look and could care less. Everything rests with the first couple of rides to learn about the TA and they rely on the coach to tell them how to ride the time. Maybe we should eliminate the speed entirely and just post the TA? I am not going to Ottawa so we will be back in a couple of weeks for 2 FEI* rated shows. Good work Chris Brandt. Until next time I am Dave Ballard.